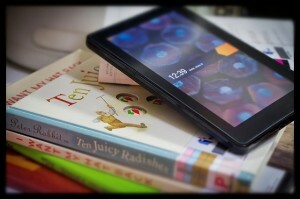 It’s a pretty well known fact that the Kindle is the most popular e-reader on the market. It came out relatively early in the e-book revolution and is backed by Amazon, which means it has a tremendous distribution network. The size of the Amazon network also means you should learn about the Kindle file formats so you can use your Kindle for your old e-books as well as your new ones. One of the few problems with the Kindle (and many of the other readers as well) is that it only reads a specific type of e-book file. They developed their own Kindle file formats called AZW, or AZW3 (in the more recent versions). The Kindle also has the ability to read files in the MOBI and PRC formats. As far as document files, the Kindle can easily manage TXT and PDF files. However, if you have e-book files that do not use those specific file extensions, your Kindle will have trouble opening them because they were not created with the specific Kindle ebook file format. As we become more technologically savvy, and more dependent upon our devices, this gets more complicated. For example, if you previously had a different kind of e-reader device you may have many books that you want to keep, but in most cases, if those books aren’t using the Kindle file formats, your new Kindle won’t be able to read them. You might also have a large document that you need to read for work, but you want the convenience of having that document on your Kindle instead of having to carry around your laptop anytime you think you may want to read it. The good news is that you don’t have to lose access to those books or important documents if you have access to a good online ebook converter. The really good news is that it is very simple to convert your e-book files from one type of format to one of the Kindle file formats, if you have a good converter. In most cases, all you have to do is access the e-book converter and then tell it which file you want to convert simply by browsing on your computer and selecting the proper file. Then you select which of the Kindle file formats you want the file converted to. There may be some additional features to choose from, but they will depend upon the specific converter you’re using. The converter should then either send you an email of the converted file or provide you with a download button on the website page you’re using. Then you just need to add the newly converted e-book (now created in one of the Kindle file formats) to your Kindle and you’re ready to go! Of course, if you are converting your e-book files to something that will work with your Kindle, you should convert it to the AZW or AZW3 formats. However, if you are converting your files for a different type of e-reader, make sure you select the specific file that can be read by your device. ← Cross-Conversion – What is possible?